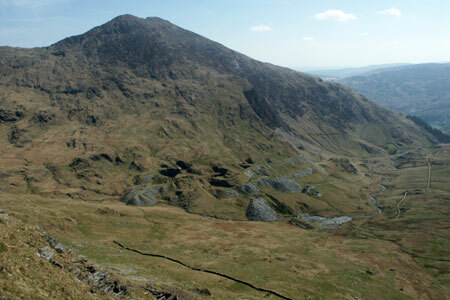 This Snowdonia walk approaches Snowdon from the south using the Watkin Path. The scenery throughout this walk is impressive and the route is quieter than other ascents of Snowdon. The return is down the South Ridge. A GPX File is available for download (see walk description).